Carved by wind and water, Cumberland Gap forms a major break in the Appalachian Mountain chain. For thousands of years large game animals moved through the Gap in their migratory journeys. Native Americans followed their trail, creating the "Warrior's Path". In the late 17th century this route into the rich hunting lands of "Kaintucke" was known to only a handful of Europeans. Stretching for 20 miles along Cumberland Mountain and ranging from 1 to 4 miles in width, the park contains 20,500 acres of which 14,000 acres is proposed wilderness. 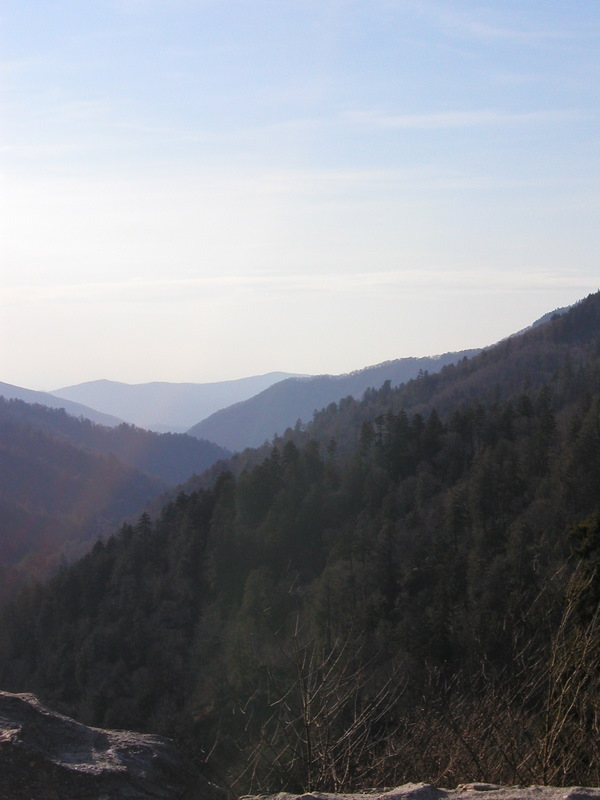 The natural beauty of Appalachian mountain country, lush with vegetation, supports diverse animal life including white-tailed deer, black bear, rabbit, raccoon, opossum, gray squirrel, fox, and wild turkey. Park resources provide habitat for the endangered Indiana bat Myotis sodalis, and the threatened blackside dace, Phoxinus cumberlandensis. There are 59 state-listed rare plant species. The majority of the forest is second and third growth Eastern hardwood and conifer mix, the result of timbering and farming over a 175 year period. There are 24 known entries to limestone caves, the best known of which is Gap Cave. Other significant natural features include the Pinnacle, Sand Cave, Devils Garden, and White Rocks. It was not until 1750 that Dr. Thomas Walker, surveyor for the Loyal Land Company, became the first to explore, describe, and document the route to the Gap; which he named in honor of William, Duke of Cumberland, brother of King George II. In 1775, a little known longhunter named Daniel Boone was commissioned to blaze a road through the Gap. Boone's Trace evolved into the Wilderness Road, establishing his place in history as a frontiersman and pathfinder. During the dark and dangerous days of the Revolution, the settlements in Kentucky, headed by men like Boone and James Harrod, maintained a toehold in the wilderness, securing claim to the western lands for the young nation. The importance of the Gap in the post-Revolutionary period is of major significance. The discovery and use of Cumberland Gap released a floodtide of settlers into the lands of the interior. A mere ten years after the end of the Revolution, Kentucky became the 15th state boasting a population of 220,000. Though other routes were utilized, Cumberland Gap was "the way West" until 1810. In the 20th Century, Cumberland Gap (and its associated roadways) continued to be a major economic artery for the Appalachian region. Modernization of the roadways began in 1908 with the completion of the "Object Lesson Road"; a Federal demonstration project by the Bureau of Public Roads. This road opened the Gap to commercial traffic. In the 1920s the old Wilderness Road became Highways 25E and 58, allowing mechanized traffic through the Gap. Virginia Wilder Real Estate, LLC has been voted The Best Real Estate Agency in the Tri-State area. Virginia Wilder Real Estate, LLC offers the latest technology, uses the resources the real estate industry has to offer and is ready to serve YOU Give Tina Jirava a call toll free 877-237-8208 ext 1. Plane - The closest major airport is located in Knoxville, Tennessee about a two hour drive from Cumberland Gap. Flights can also be made into the Lexington, Kentucky airport. Follow Interstate 75 in Kentucky. Cumberland Gap is located 128 miles south Lexington on 25E. Car - Visitors traveling on Interstate 75 in Kentucky should exit on 25E at Corbin. Cumberland Gap is located 50 miles south of Corbin on 25E. Visitors traveling on Interstate 81 in Tennessee should exit on 25E at Morristown, Tennessee. The park is located 50 miles northwest on 25E. 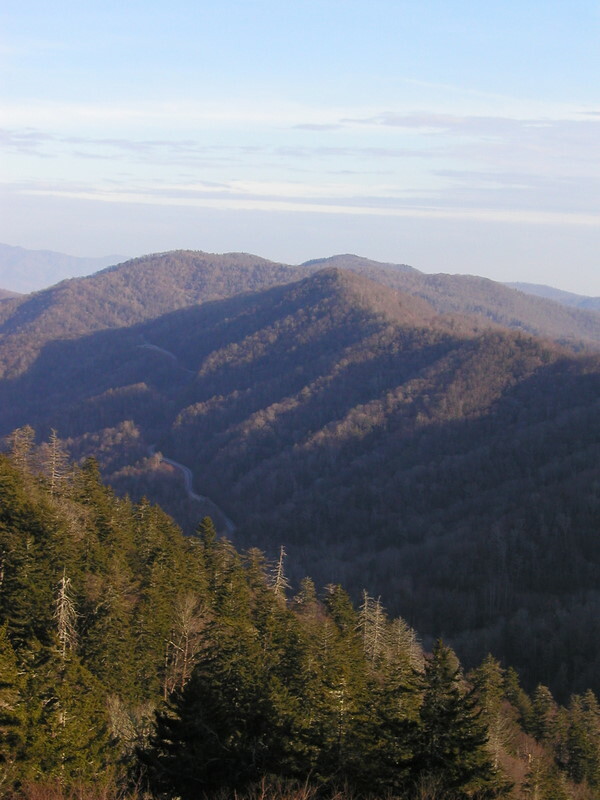 The park can also be accessed from Virginia by traveling west on Highway 58 to its intersection with 25E in Tennessee. Public Transportation - There is no public transportation in Cumberland Gap National Historical Park.